Drawings, photographs, and notes used in the preparation of Kann's published works. Eduard Kann papers, 1949-1963, Archives, American Numismatic Society. Chinese currency expert Eduard Kann (1880-1962) was the author of two standard numismatic reference works, The Currencies of China (1926) and the Illustrated Catalog of Chinese Coins (1953). Born in Austria, he left Vienna in 1902 to work for a London bank branch in China. He was eventually employed by several banks there before becoming a private bullion broker in the 1930s. He worked closely with the Chinese Nationalist government and served on the advisory committee for the establishment of the Shanghai Mint in 1933. His close association with the Chinese government led to his internment by the Japanese in 1942. After his release was secured by a Japanese official, he continued his work in Shanghai until its fall to the communists in 1949. Fleeing the country with his Chinese coin collection intact, he settled in Los Angeles, lecturing for three semesters at Loyola University. He spent the rest of his life at his home in Hollywood with his wife Margaret, whom he had married in 1913. His coins were auctioned by Abner Kreisberg of Beverly Hills in 1971 and 1972. Contains drawings, photographs, and notes used in the preparation of his published works, including a draft of his Catalog of Chinese Coins (dated 1952). There is a corrected typescript consisting of numbered sections of what appears to be a book on the social and economic development and conditions of China. Topics include geography, mines and minerals, foreign trade, agriculture, banking, railways, religions, and currency. One of the sections is dated March 12, 1951. Other typed documents include a selection of text labeled “Some remarks about the Chinese sycee tael” and a typed list labeled “Specification of a collection of Chinese sycee silver taels.” Photographs of taels are included with the documents (1960). Also included are faculty employment agreements (1950-1952) and a few pieces of correspondence (1950, 1953) relating to his work at Loyola University, Los Angeles. 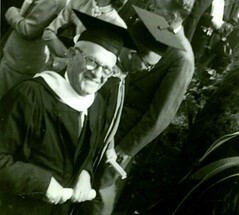 In addition, there are seven photographs of a graduation ceremony at Loyola University showing Kann (1961). A letter regarding the purchase of coins from Cho Chong Pak, Numismatist, Lapidary & Craftsman, of Singapore was sent after Kann’s death (1963). Of particular interest is a copy of an inventory with values of items belonging to Kann at his Shanghai premises, by Noël, Murray & Co., Ltd., under instructions from J.S. Potter (February 14, 1949).